Jane Iredale Amazing Base is a beautiful loose mineral foundation powder that gives a sheer to medium coverage. Jane Iredale Amazing Base Warm Silk is for light skins with warm yellow undertones. Jane Iredale Amazing Base is a beautiful loose mineral foundation powder that gives a sheer to medium coverage. Jane Iredale Amazing Base Maple is for deep skin tones with a yellow undertone. Jane Iredale Amazing Base is a beautiful loose mineral foundation powder that gives a sheer to medium coverage. Jane Iredale Amazing Base Radiant is for light skins with neutral peach undertones. Jane Iredale Amazing Base is a beautiful loose mineral foundation powder that gives a sheer to medium coverage. 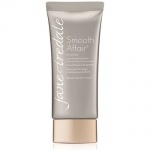 Jane Iredale Amazing Base Satin is for light to medium skins with neutral peach undertones. Jane Iredale Amazing Base is a beautiful loose mineral foundation powder that gives a sheer to medium coverage. Jane Iredale Amazing Base Suntan is for medium coloured skins with neutral peach undertones. Jane Iredale Amazing Base is a beautiful loose mineral foundation powder that gives a sheer to medium coverage. 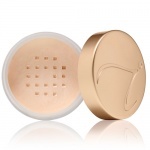 Jane Iredale Amazing Base Mink is perfect for deep skin colours with neutral red gold undertones. 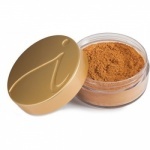 Jane Iredale Amazing Base is a beautiful loose mineral foundation powder that gives a sheer to medium coverage. Jane Iredale Amazing Base Natural is for light to medium skin colours with cool pink undertones.